When: Saturday Nov. 3. All times (CST): Girls Class 6A, 8:30 a.m.; Boys Class 6A, 9:10 a.m.; Boys Class 3A, 12:10 p.m.; Girls Class 4A, 1:20 p.m.; Boys Class 4A, 1:50 p.m.; Girls Class 5A, 2;30 p.m.; Boys Class 5A, 3:10 p.m.
Cathedral senior Brandon Seagreaves is chasing his third consecutive TAPPS State Championship on Monday. If form holds true, Cathedral’s Fighting Irish are due to win the TAPPS Class 6A State Championship on Monday. Since 2015, the Irish have placed second, first in 2016 and second again in 2017. With senior Brandon Seagreaves leading the way, the team seeks to capture its second state championship in four years. Loretto sophomore Britney Martinez will lead the Angels to the Class 6A Cross Country Championship in Waco on Monday. The TAPPS State Championship will be at 9 a.m., Oct. 29 at Cottonwood Creek Golf Course in Waco. The team – Seagreaves; senior Steve Stresow; juniors Nico Maes and Fernando Anzures; sophomores Luis Gomez, Alberto Martinez and Andres Buckley; (junior Jacob Magallanes is the alternate) – will have to take the championship away from San Antonio Antonian. Antonian won last year’s championship with 67 points, 9 ahead of Cathedral’s 76. Argyle Liberty Christian was not far behind with 81 points. And by the way, Seagreaves is chasing his third consecutive state championship. Lydia Patterson Institute will race in the TAPPS Class 5A Cross Country Championship on Monday. Loretto Academy will also run in Class 6A while the boys and girls of Lydia Patterson Institute will race in the Class 5A division. 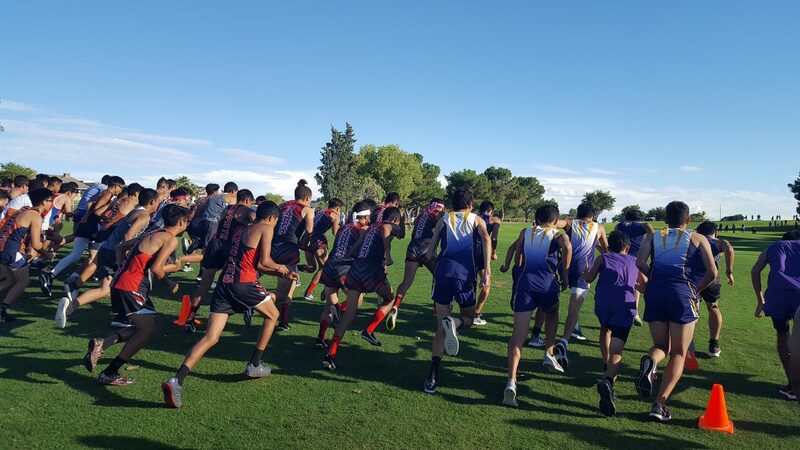 The last time these teams ran was three weeks ago at the Clint ISD Invitational at Horizon Golf Course. He said training has been going well. say it was a fantastic discover. Thanks!